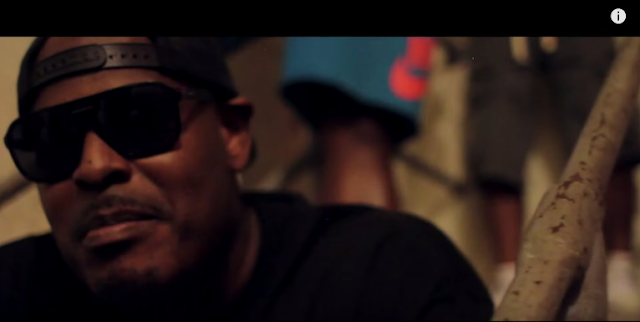 Sheek keeps flooding the streets with freestyles to promote his upcoming LP, Silverback Gorilla 2, dropping next month. Sheek Louch gives us his classic street bars on top of the The Neptunes produced track Cot Damn. The track is off of the Clipse's (two up, two down) debut studio album Lord Willin'. Of course Sheek picked one of the hardest beats on the album to bless us with a few more raw lyrics. His freestyle videos have been low budget so far, and Got Damn follows the same formula. Just that throwback vibe with Sheek and his boys in the streets and in stairways. This ones for the hip hop heads that keep one foot in the streets at all times. Dr. Dre's influence on the entire landscape of Hip-hop is well documented and undeniable. When you also consider the sheer amount of legendary artists he has either worked with, or helped cultivate, it makes you wonder what the game would truly be like if it weren't for Andre Young. So with the release of the biopic Straight Outta Compton looming, it had me wondering how amazing it would be if Dre took this opportunity to bless us with something resembling the fabled Detox album that has been 16 years in the making. Even though he announced that the album was no longer Detox by name, it has been known that something epic was still brewing. Two weeks before Straight Outta Compton hit theaters, Dre dropped a bombshell on us in the form of Compton: A Soundtrack, announcing that it was finished and would release within a week. Billed as his grand finale, we have finally been blessed with the realization of the album we thought would never come. And what an inspired finale it is. Compton is a culmination of everything that has defined west coast Hip-hop since its inception, while touching on modern day issues plagueing the urban community without it coming across as a lecture. 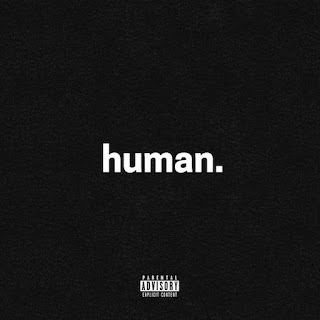 Starting off with an epically-produced intro, backed by a news broadcast giving you a synopsis of the circumstances surrounding Compton, Dre spends no time transitioning right into the braggadocious "Talk About It" along with Justus and Carolina newcomer King Mez. Since this is a Dre album in a completely different era of Hip-hop, it's no surprise this track contains a hint of that trap bounce appealing to the younger generation, but luckily it's short-lived and doesn't wear out its welcome. "Genocide" brings back a bit of that west coast vibe and features one of several key features on the album from Kendrick Lamar that help solidify Compton's sound. Dr. Dre's masterful production starts shining toward the end of the song, and hits full force going into the next track. "It's All On Me" illustrates the pressures Dre has been dealing with in his position as a leader in the game, and also takes you on a brief journey back to the birth of Death Row records and the original The Chronic album. "All In A Day's Work" goes deeper into just how heavy the pressure has been on Dr. Dre to release a flawless classic after his first two albums. He understands how quick fans are to turn on you or move on to the next artist regardless of how much work you put in to a project, but he welcomes the pressure with open arms. 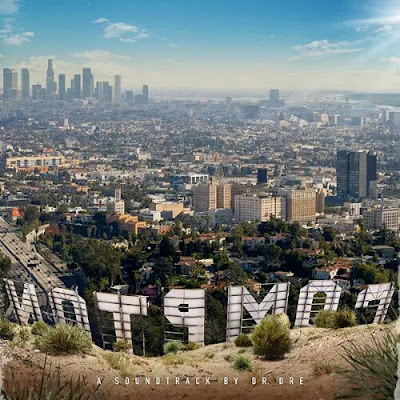 While these first 5 tracks re-introduce long-time fans as well as the younger generation to who Dr. Dre is, the majority of the rest of the album allows his legacy to shine. From N.W.A. 's roots, to the current king of the west coast, every artist who has ever been aligned with Dr. Dre come back together for one last ride. Ice Cube, Snoop Dogg, Xzibit, Eminem, The Game, and Kendrick Lamar, as well as several lesser-known new faces like King Mez help solidify the bulk of this magnum opus and also prove how important Dr. Dre's influence has been to Hip-hop over the years, exemplifying his ear for amazing talent. This fact is more than proven on one of the album's standout tracks "One Shot One Kill," a song by Aftermath's Jon Connor who's raw and gritty lyricism has been praised by the likes of Scarface, Nas and Busta Rhymes over his 10-year run in the game. The DJ Premier-produced "Animals" is a painted picture of society's view of the Black community and how the world is programmed to believe Blacks are inherently ignorant and evil, when in reality we have been systemically programmed to kill each other. And if one of us becomes educated enough to stand up to the system, we are unjustly executed. The song speaks on how this has been going on for years, but this social media-heavy era we live in prevents these acts from being swept under the rug any longer. It's an important song that falls right in line with the majority of Kendrick's To Pimp a Butterfly, in an attempt to save the Black community...from the system, and from ourselves. Compton is capped off with "Talking To My Diary," which shows Dr. Dre reminiscing over his entire career. It's a fitting end to his swan-song, as this album seals nearly 30 years of Hip-hop history away essentially making room for the next generation to start their own legacies. We have seen a resurgance in West Coast Hip-hop in recent years, with Kendrick Lamar being the true leader of the new school. This shift in the game has been important because I believe part of Dre's apprehension and lack of inspiration to give us a final album lies in the fact that he was not convinced the future was in good hands for a very long time. Dre's legacy was built on being inspired by his peers, and now that balance is being restored to the game, it's the perfect time for Andre Young to bow out, as this is the end of an era.